Every few years, Andy and I take a couple weeks off work and venture off on a big trip. While I have a huge list of new places to visit, for our trip this year, I wanted nothing more than to return to an old favorite - the Big Island of Hawaii! Usually when Andy and I go on a vacation, I have every day planned out months in advance. Apparently the laid-back nature of Hawaii is contagious, because for this trip, other than loose plans to go hiking a couple times, and one restaurant we absolutely had to visit, I made no plans at all. Over our 12 nights on the island, we decided to spend 7 at the same condo south of Kailua-Kona we'd stayed in on our last visit, 3 nights at a tiny cottage near Volcanoes National Park I'd found on Airbnb, and our last night at an historic Japanese hotel in Captain Cook. If you find yourself on the Big Island of Hawaii, and you only have time for one hike, I would would highly recommend the short hike into Pololu Valley! Some of the best views of the rugged North Coast cliffs can be seen from the trail leading from the end of the road down into the valley. Once you reach the bottom, there are rope swings and tree forts to explore, hammocks to lounge in, and plenty of shade from the tall trees lining the beach. 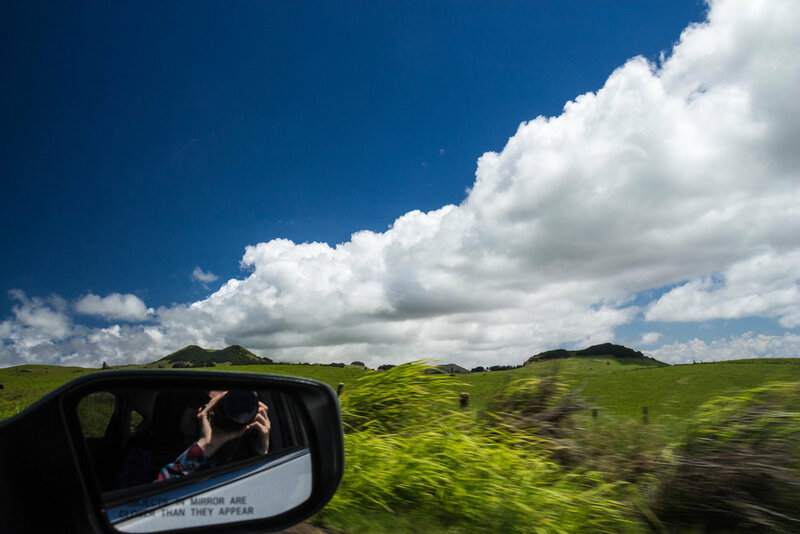 We spent our second week in Hawaii roaming the island, starting with a drive from Kona to a tiny studio cottage in Pahoa. After driving all day, we spent the afternoon reading on the small patio and enjoying our new jungle setting. We split our two days on the west side of Hawaii between a visit to our favorite snorkeling spot from our last trip to Hawaii and a long day in Volcanoes National Park. Both were just as good as we remembered from our last trip to Hawaii, especially the National Park, since Kilauea was much more active than the last time we visited in 2012. Another change from our last visit to Hawaii - the Saddle Road is now much safer, so you can drive a rental car on it without invalidating insurance, so we took that route through a lunar landscape back to Kona. With our last few days on the island, we visited one last beach and had lunch at Kona Brewing for a second time. We ended the trip perfectly with drinks and a free Ledward Kaapana concert at Don's Mai Tai bar. I always love visiting Hawaii, but I was very happy to come home to some clouds and cooler fall weather! What to say about week one of our two week vacation in Hawaii? We visited a few old favorite places, tried several new ones, and even stumbled across a Harry Potter marathon to watch over breakfast every morning for Labor Day weekend! I'll have plenty more to share about this trip soon - once I get through the hundreds of photos I took - but for now, I'll let some of the photos from my phone do the talking!